Daniel Castro a.k.a. D'nial is a young DJ/Producer of 23 year-old from Mexico City. Trance genre specialized and focused in the sub-genres of tech trance, uplifting, progressive trance and psy trance. His productions have the energy and sounds of the new school but the vibe and warm of the old school, being influenced by producers such as DJ Tiesto, Armin van Buuren, Above & Beyond, Paul van Dyk, Sean Tyas and John Askew between others. 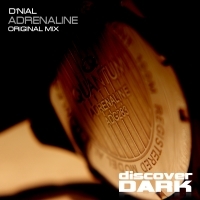 Then giving sample of his talent D'nial releases his first official remix on Brain Mapping Recordings under the alias "Metamorphic" showing that a darker and aggressive producer side focusing in the Psy Trance sub-genre. Days after, the great Italian legend Giuseppe Ottaviani gives support to one of D’nial’s most significant tracks called "Liquid Star" on his radio show "Go On Air ep. 149" showing the quality of his work taking it to stand out among producers to watch in Trance Mexico’s scene. D'nial has another alias called "AJDA" which shows the soft and pleasant side of electronic music with relaxing and mesmerizing sounds focusing on the tranquility that only uplifting trance music can convey. D’nial has signed releases on labels such as Pharmacy Plus, Brainmapping Recordins, Arcadia Moon Recordings, Soaring Sounds, Delaforce Recordings and Sundance Recordings. Having support of large DJs like Christopher Lawrence, Giuseppe Ottaviani, El-Jay, NEOS, Vlind, Mike Rodas, Axure, Richter, among others ... D’nial is an unstoppable producer doing much to talk in his year debut. His talent, passion for music and hard work will make him one of the great artists in the scene, so keep track and expect much more music from D’nial soon.